I live in central Alberta and have been a Rogers customer for about 3 yrs problem free. i upgraded to this phone 3 weeks ago and at the moment i'm on my second one as i cannot get a decent signal with it. I also have a krazer through Rogers and have no problems. I put the two phones side by side and have full service with the motorola and just over half with the a746. Otherwise it is a great phone, very user friendly with some nice features. but if i can't get service then it is worthless to me. rogers in canada is still selling old old phones that should be recycled, about time they update their site with modern phones. bought the phone today, right out of the box the weight of the phone is balanced. MARE, 25 May 2008Got this phone in the Rogers Wireless store I oversee. Not generating any interest whatsoever.... moreBecause nobody's buying it means it's no good? Maybe because it's not advertised and not all of their friends have it? Samsung needs to step it up. Only the a736 is selling moderatly because of the 29.99 CDN pricetag with a three year video calling deal. What is the video recording size? Also- really nice. If only there was FM radio! 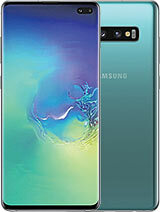 Total of 32 user reviews and opinions for Samsung A746.